Typically, "Throwback Thursdays" tell you about something that happened a long time ago. Well, this one is more in the way of making up for not having posted something in the past - namely, a report on my January, 2018 ops session. I took advantage of the new year to start a new "week" of sessions. 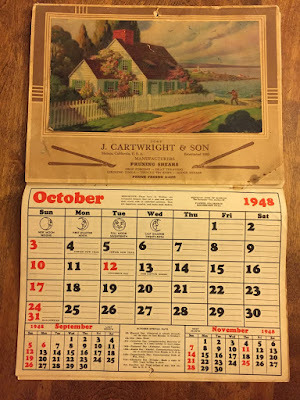 Even though I can run 3 different eras/years (1947/1948/1949 - each with different motive power) I've been focusing my era lately on October, 1948 for the best mix of steam (still have moguls and mikes) and diesel (PAs were delivered in September, 1948 & I can use my RS-1 and RS-2). During this era, the Valley Local operated on a Monday through Saturday schedule, going to East Berlin on M/W/F and to East Haddam T/Th/Sa. 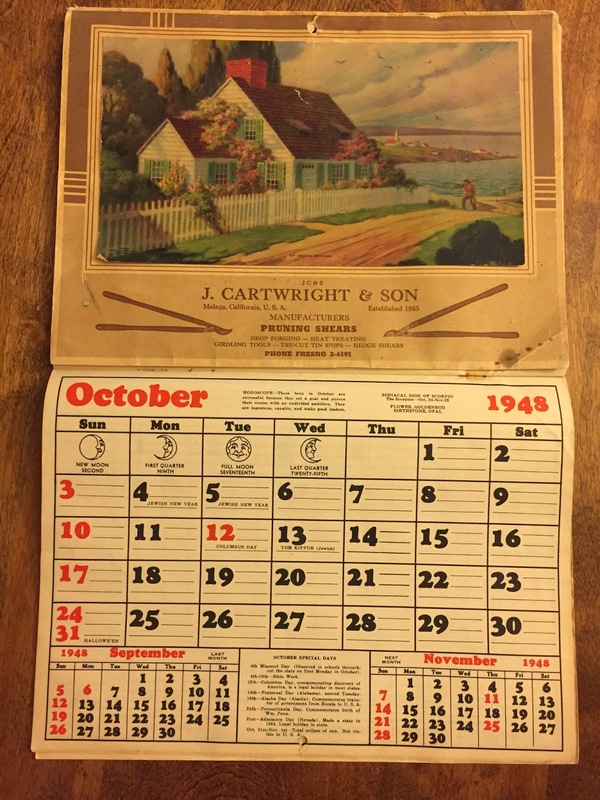 So, I figured I'd start the 2018 operations year on the first Monday in October, 1948 and, according to my handy prototype (and original) calendar, that would be October 4. Unfortunately, as is too-often the case with ops sessions, I didn't get to take as many photos as I would have liked. Fortunately, other attendees were able to fill in some gaps. Calm before the storm. Saybrook Junction, 8:36am Monday, October 4, 1948. There's one car on the bulk track, and cars waiting on tracks 5 & 7 for the eastbound and west/northbound Shoreline local freights. Husband/Wife duo Mike & Mel operating PDX-1, the eastbound Shoreline local. They've worked the Saybrook house & bulk tracks (tracks 10 and 8, respectively) and crossed over the double-track main and are now working tracks 5 & 7. BillS looking on, enjoys a break from operating one of the many eastbound Shoreline passenger trains to New London/Boston. Overview of Saybrook Jct and PDX-1 working the swap tracks. James works the Air Line local in Somerset while Mel looks on. A special treat this session was that Bill-from-next-door, who actually operated the real Saybrook tower before it was closed (and which I didn't even know until we delivered Christmas cookies one year, but that's another story...), agreed to operate my model of Saybrook tower, including the model board. He thought it captured his job pretty accurately, despite the fact that I have easy-to-throw toggles controlling the switches rather than the unwieldy Armstrong levers he had to deal with. His insights and stories, one of which he's probably relating in this photo, were a highlight of the evening. Mike R, who developed the spreadsheet I use for freight car forwarding, operated PDX-2 - a.k.a. the westbound Shoreline local, a.k.a. The Haddam Local. Here he is switching cars in Essex. The last of the four local freights, The Valley Local, was ably operated by Kaylee Zheng, who appears here to be working Rocky Hill/Dividend. James is working Middletown on the Air Line local. While the local freights are out of the way on the branchlines doing their thing, the Shoreline continues its parade of 71 trains per day. Here's a westbound through Saybrook sometime during the late afternoon. Ah, a late, Indian Summer afternoon in October, 1948, sitting down by the station, watching the parade of trains going by. Could there be anything sweeter? That feeling is what I'm trying to capture on this layout. Sure, I need to do a LOT more scenery and build/install a lot more structures in order to complete the illusion. 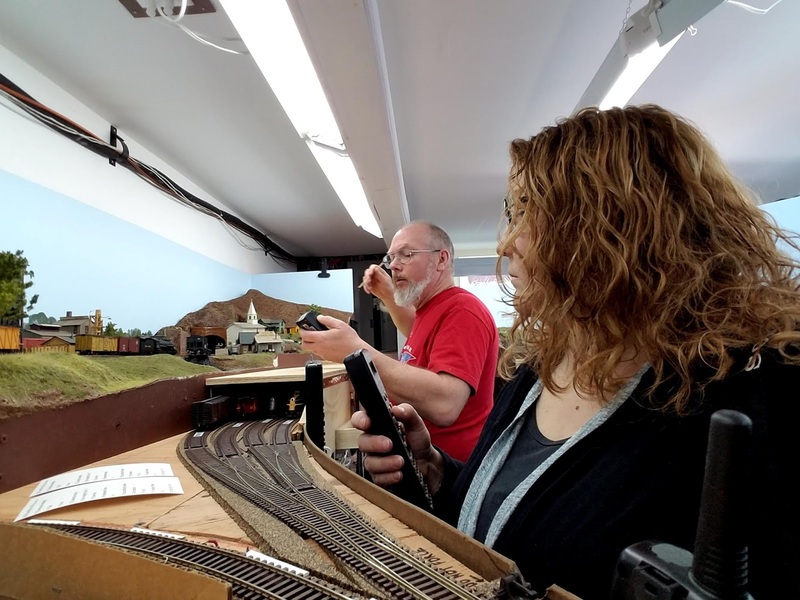 But, thanks to Mike, Mel, Mike, Bill, James, Bill, and Kaylee, operating the trains, the layout comes to life for a few hours every month (or so) and, with the use of a little imagination, we can all enjoy a nice trip back in time. You are welcome, looking forward to operating some trains again! Friday Fun? When Realism Goes Too Far . . .